Ultra Marathon Running: Runners – Invest in the Sock Market! 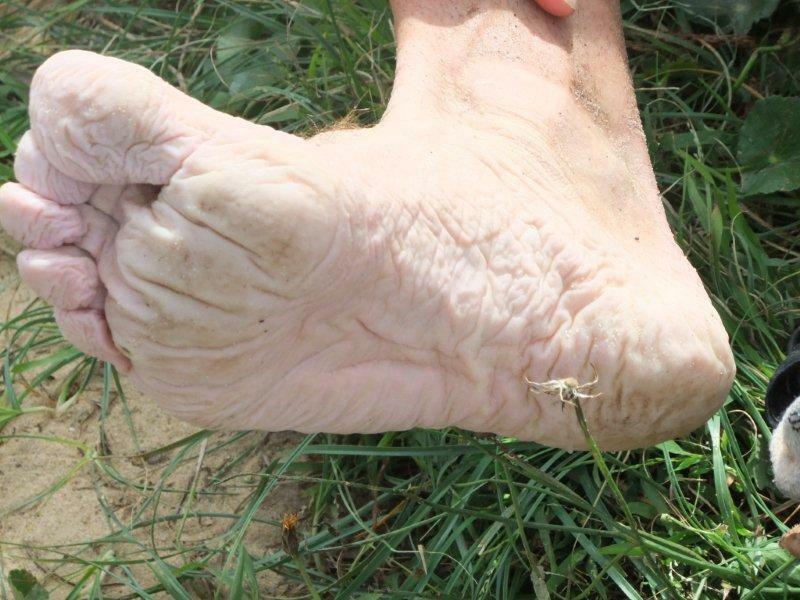 When I first started running ultramarathons I used to get hold of any old socks around, as in my mind I should spend the money on the shoes and that blisters were just part of the sport. I’m a little older and a lot wiser now, and the reasoning is simple because you have to look after your feet as they are what get to carry you around for hours at a time. The point of contact your feet have with the ground is through your socks, and if you don’t get the right ones you could be paying for it big time. Blisters can take you out of a race altogether, or just make your life hell as you hobble on for many hours. Given the length of time on your feet and the harshness of the terrain, it is infinitely more important in an Ultra than anywhere else. The causes of blisters are threefold which cause the upper layers of skin to swell and separate. These are heat, moisture and friction. Poor quality socks will do little to control any of these. I have been fortunate to partner up with the guys from Drymax, who are supporting my 33 marathons challenge, and currently I’m trialling a selection of socks from their range to see which will best suit my needs. The science behind the socks! You can see the state my feet have got into previously during the GNW100, so when I heard of the ability Drymax socks to stay dry I was very intrigued and sceptical. The technology behind the socks is pretty clever and straight forward, designed to control the blister causing conditions. 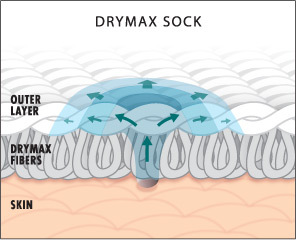 Unlike ordinary wicking material socks, the Drymax socks have two layers of different fabric. The outer layer is of a moisture attracting material, and the dense inner layer is of “super-Hydrophobic” fabric which in effect means that any moisture on the feet is drawn away to the outer layer of fabric. 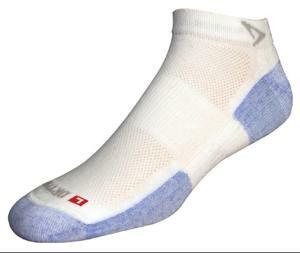 Obviously the effectiveness of these socks if influenced by a number of factors such as the breathability of the shoes, ambient temperature, humidity, sweat rate and so on. I’ve tested them in some pretty challenging conditions as it has either been raining so heavily that the water has been flowing over my shoes or so hot that the sweat has been running down my legs! Yesterday I was running in the “Hot weather” sock, and was really surprised by how effective they were. It was 35c and typically in these conditions I’d have the sweat dripping out of my shoe with each stride within about 15 minutes, but yesterday for the first 30 mins I could actually feel a cooling on the top of my feet (as they have a very breathable mesh on the top). I completed a set of trail hill repeats and then headed back home along the roads. Only after 90 minutes could I detect any moisture in the socks. I finished in 2 hours and whilst my feet were slightly damp, it was insignificant compared to me having to wring my socks out as I would with my normal wicking material socks. The only downside with these socks is that you can get a bit of debris into your shoes on the trails. So in summary these do exactly as they are designed for in keeping your feet dry in the heat, but are best suited to road running. The Trail socks are an altogether different beast in that they have a higher cuff, and are made from a much denser fabric (without being thick and clumsy). The high cuff is made from water repellent material to reduce the effect of sweat running down your legs into your socks. Also the denser material goes completely around the ankle, reducing the gaps for debris to get in. Of course these also have the same dual layers of material to get moisture away from your feet asap. When I first tried these it was like putting new shoes on as they offer a really good level of cushioning, but through the density of fibres rather than thickness of material. So they don’t compress over time, and don’t restrict foot swelling in those latter stages of your longer runs. The ability to keep the feet dry is very good, although not as effective as the hot weather version, which I put down to the denser material and higher cuff making the foot warmer and hence sweat more. That said on my first test run I inadvertently stepped in a deep puddle soaking one foot completely which dried out to the same level of dampness as the non puddle foot in about 30 mins. 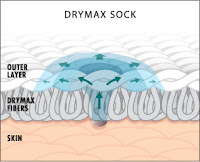 Even when I have run in torrential rain and my feet have been soaked, on completion of the run I have wrung out the socks and significantly less water comes out of the Drymax than my previous wicking material socks. I’ve run from 10-45km at a time in these socks in some pretty challenging conditions where you would expect to get blisters, but to date I have not even experienced a hot patch on my feet. Having good socks which really do keep you feet dry and pain free means you have one less thing to think about, and you can focus on the physical challenges of finishing your race. I have been converted, and now really appreciate the value of decent socks, because unlike shoes where you can change your running style to reduce the need for specialist shoes, everyone will get sweaty feet running longer distances and you simply have to get that moisture away from your skin to avoid blisters. So now is the time to invest in your future prosperity and dip your toe in the "Sock Market!" ps Since I wrote this conditions have improved, cooling to just 28c and no rain. After 2hour hill runs my feet have been dry at the end. Got to be happy with that! I preach Drymax socks to anyone who will listen..I used to get horrible blisters during long runs and races, but now... I might have 1 tiny one.. maybe. Totally worth the money. 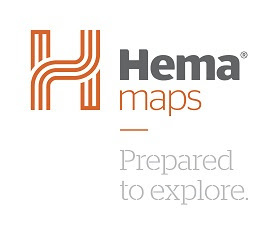 You should be in great shape for your upcoming adventures!